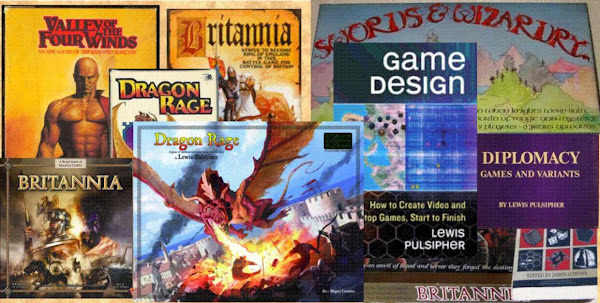 The past week or so I've been "reviving" some old games, playtesting with friends, and also sending some old articles I'd had published 20-some years ago to Usenet and Yahoo Groups (boardgamedesign and wargamecreators). I am still trying to get a better idea of what is going on in the hobby. I recently posted "Fog of War" and "Game Playing Styles" on my site, and on two Yahoo groups and rec.game.design. I also finished the computer map for Star Frontiers, one of my "small" games designed long ago. I've been editing the scanned versions of some old game rules, as well.